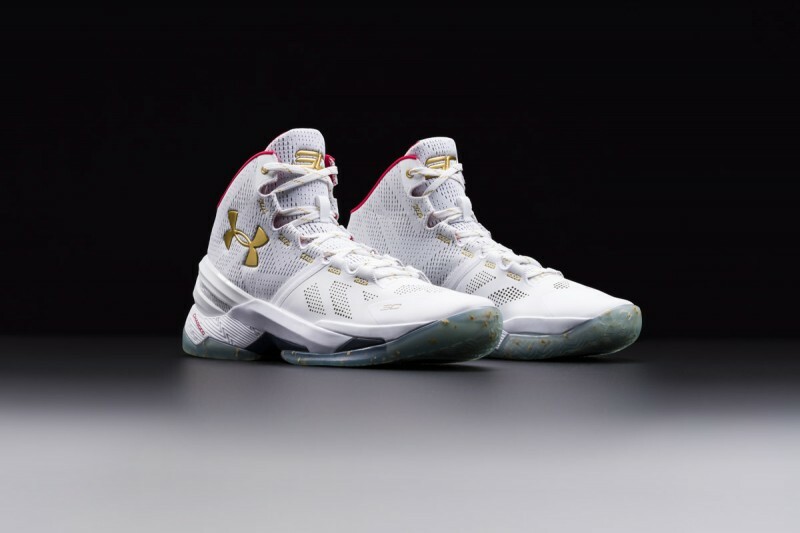 Another All-Star start for Steph Curry, another All-Star shoe with the new Under Armour Curry Two (2) ‘All-Star’. 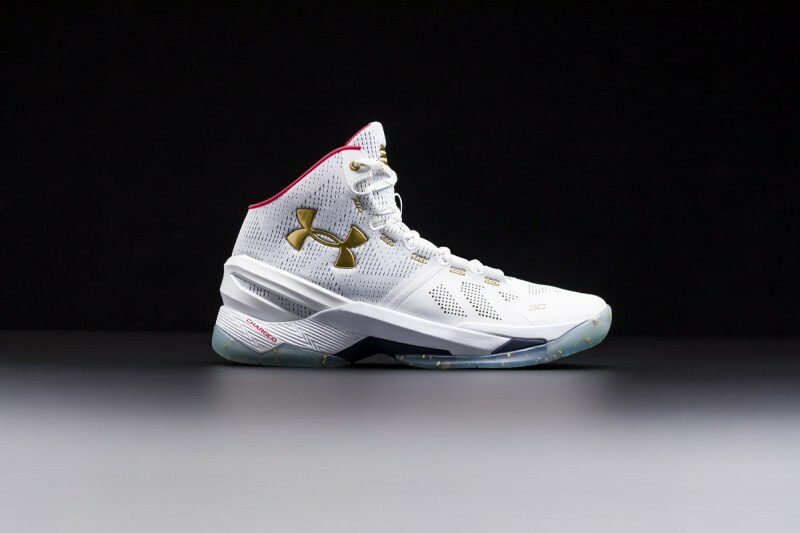 The shoe features basic color combinations, with gold on the UA logo on the lateral side, as well as on the speckles seen on inside the clear outsole. Small touches of gold also appear on the stitching near each lace loop. Red pops up in the collar area, as well as on the CHARGED font on the midsole. That Charged foam provides a bouncy feel for when you’re running on the court. 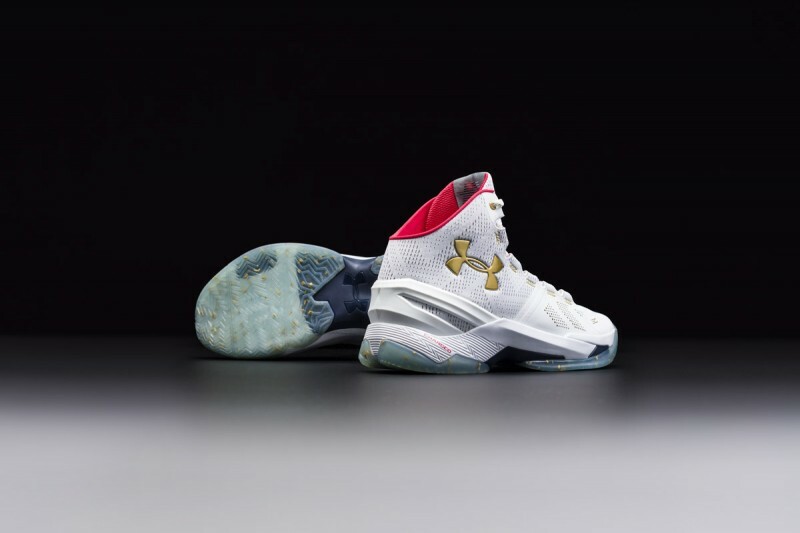 Other technology includes the SpeedForm used on the heel half of the upper, providing a sock-like fit in the area. A synthetic is used on the toe portion of the upper, which should help with the durability and support for the sneaker.